Thread: No Hawaiians, No Aloha. howzit? looking to start up a nice tank, shiiping prices from the mainland are killing me tho, any place you guys suggest? Why not set up a Hawiian biotope? Hi michael welcome to TR. Welcome aboard shipmate to the most awesomest reef board on the net! Building 110 gallon mixed reef tank, yahoo!!!! This message was posted using recycled electrons. 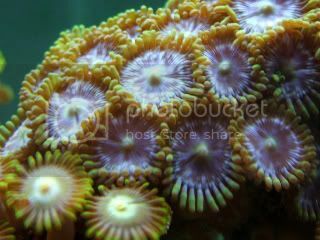 thanks for the warm welcome, have been lurking on a number os sites and am shocked with the amount of new technology in regards to saltwater aquariums and reef keeping. 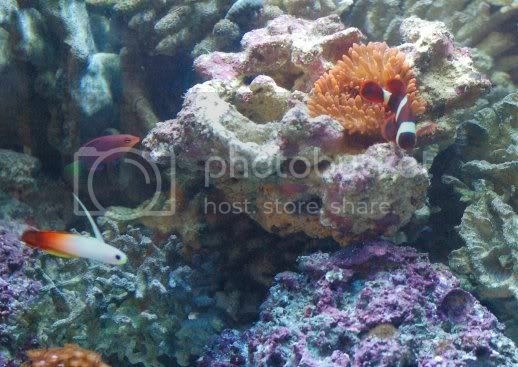 18 years ago or so i used to have a number of aquariums fresh and salt, and am going to get back into the hobby. been looking at this set up to start with. JBJ 28 Gallon Nano Cube Quad PowerCompact Bulb w/ Cabinet Stand and Arctica MINI Chiller and contemplating adding a small mangrove tree running out of the back since they are readily available on the island. i'm in no rush to buy tho, i'm in iraq right now on my 3rd deployment for the gwot, so i have 7 months or so to finalize my decision and purchases. as far as the hawaiian biotope goes, the state does not allow the taking of corals and live rock from local waters. you can however get a slurp gun and get all the aquarium fish you like for your own tank. as far as water goes for whatever tank i get i will be using saltwater from the coast, i have a 26ft fishing boat that i chase marlin and tuna in, so i can easily procure 5 gallon water jugs of sw for water changes. first thank you for your service and be safe. Molokai supplies sell liverock and as you say the fish is not a problem. If you are on Oahu, we get our water from sand island, they have a spiget there. Prices are high here but a search on Craigs list will get you everything you need. Welcome to TR, jagerhunchback. Thank you for your dedication to our country!!! be safe, and God speed your safe return home. spigot at sand island? where at the boat launch? i dont know that i would use that water i would think it might be kind of crunchy. as far as water i would more than likely get 50 gallons at a time when i go out on the boat fishing for marlins, mahis and tunas. in a pinch i would probably go out to the water barge outside of ko olina, i figure it's a short drive to deep water and thats where they get the water before they ro it and send it to japan as drinking water. any solid oahu fish stores you can recommend? We get most of our stuff online, but Wally at Morden Pet is a great person to make contact with. The water at Sand Island is filter through sand and that's why it's a good choice. Check out this link. It's a bunch of locals and pretty nice group to know. Michael, I will add my thanks for your service to our country. I was out of SW for about 17 years and everything had changed! You know, little things like your sand and rock are your filter! i feel your pain, when i was in to tanks (around the same time as you) a major upgrade was putting powerheads on your ug filter and having a magnum 350 with the carbon basket!!! what are your opinions on this set up? i'm thinking fowlr tank, but i want to have the capability to keep corals if the day ever comes. and as for you mr. Thincat, thank you so much for the link!!! that site is pretty cool, i was starting to think that there were no reefers in the islands. You're welcome, A bunch of nice guys and gals at that site..